Twenty-year old Taqqee Richardson wasn’t always the best camper when he started attending Betsy-Jeff Penn 4-H Camp at eight years old. “I can recall some interactions where [Taqqee] was struggling with engaging with other kids or where he needed a few minutes to take a time out and re-evaluate some of his actions,” shares Stacy Burns, Betsy-Jeff Penn 4-H (BJP) Center Director. It was no accident that Taqqee started attending BJP for summer camp as soon as he was old enough. Taqqee’s mom attended camp at BJP along with her two sisters and wanted her own children to have the same opportunity for a transformative camp experience that she had had as a child. Taqqee’s experience, while powerful, is not unique. The camp experience has the power to transform the lives of every child that attends, whether that’s by nurturing social skills, helping build self-confidence, re-connecting kids with nature, or supporting positive peer to peer relationships. Research shows young people gain a great deal from attending camp, notably in the areas of social-emotional learning that transfers far beyond the singular camp experience, helping young people thrive in school and in the early years of their careers. The best part? It’s also fun! Interested in sending a child to camp for the experience of a lifetime? North Carolina 4-H runs three summer camps across the state, all within a 2-3 hour drive from Raleigh. 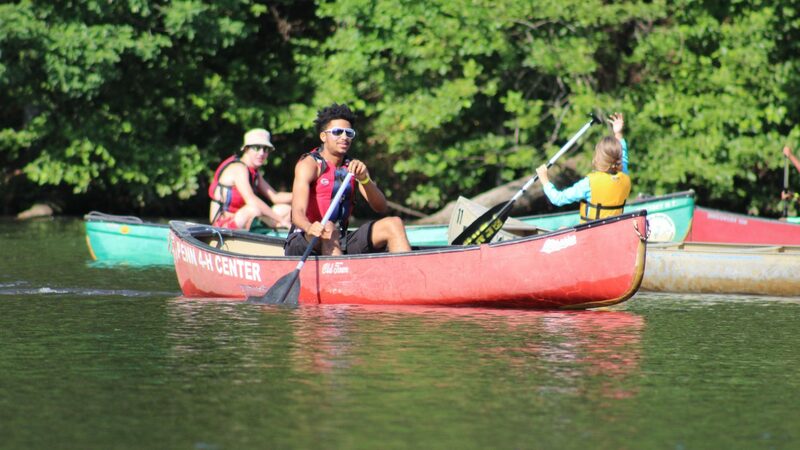 Each center offers similar activities including archery, swimming, canoeing, team challenge courses, crafts, and more. The camps host eight weeks of residential summer camp starting in June for children ages 5-7 for Cloverbuds, ages 8-14 for traditional 4-H camp, and up to age 17 for our Leaders in Training (LIT) young adult leadership program. Specialty camps such as boating camp and marine science camp are offered at some facilities. Youth do not have to be members of 4-H to attend camp. For more information and to register, visit our website at www.nc4hcamps.org Register through your county 4-H Agent to receive the 4-H rate of $420/child for a week of camp.